What an amazing 3 days at camp! The rain held off and we were able to enjoy all the activities that Totara Springs had to offer. We were lucky to have many parents join us and support us at challenging times- so many thanks to those who came along! Our team work and cooperative skills were tested at times however really shone through when we stuck at it or were encouraged. Some highlights were: the hydroslide (the bigger the faster), team rescue (a mind picking group task), flying fox (screams filled the forest) and the burma trail (a test of courage and trust)! As tired as we are, back at school we are getting stuck into reflections. We have realised that ‘team’ has no ‘I’ in it and stands for ‘together everyone achieves more’! Many of us faced our fears, learnt to compromise, recognised our strengths and made achievements (Emily made it down the hydroslide)! Thanks again to all who helped and made this years camp such a huge success! We can’t upload all the photos but for 50c you can buy a CD with over 300 photos of our action packed adventure! camp was so fun ! 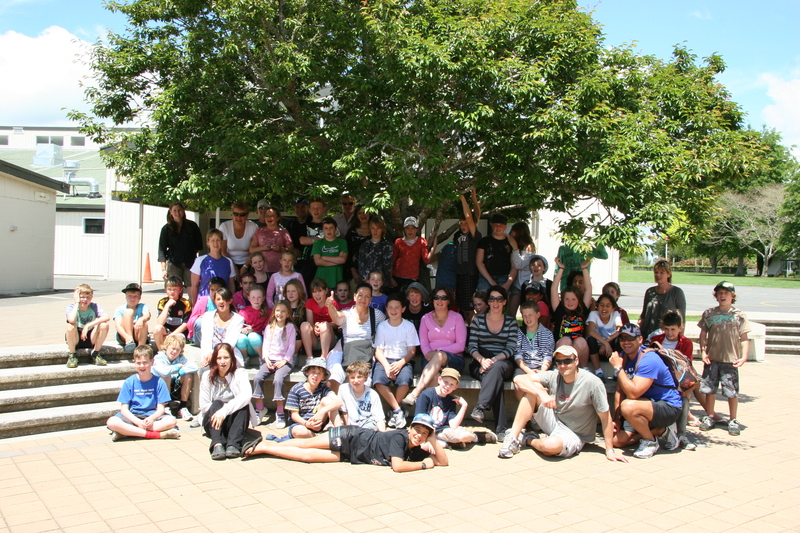 Just a wee note to thank Ms Jones, Ms Griffiths, Ms Hamer, parents and students for an awesome time at Totara Springs Camp. Loved it – what a fabulous spot! !